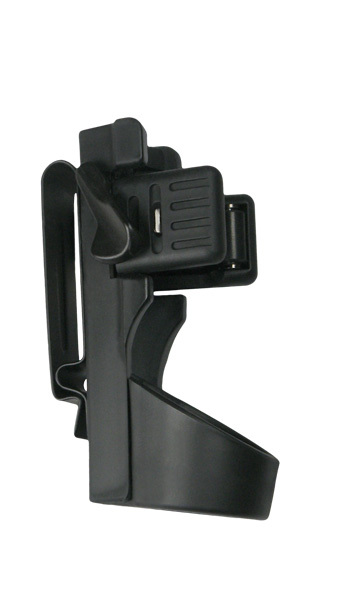 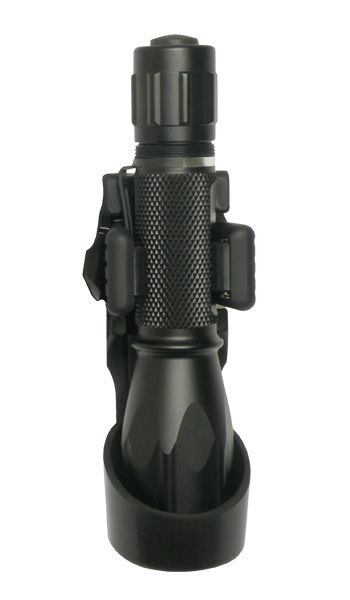 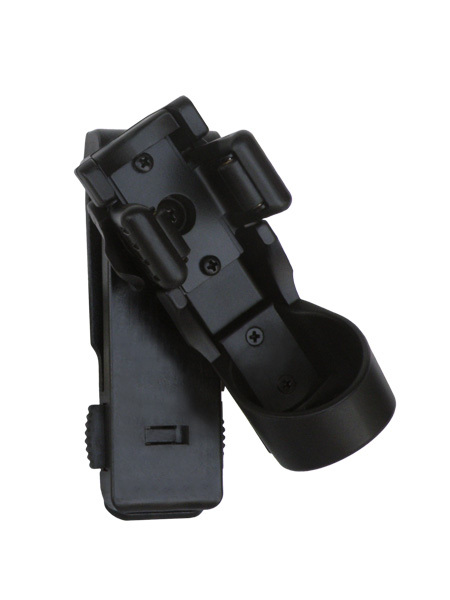 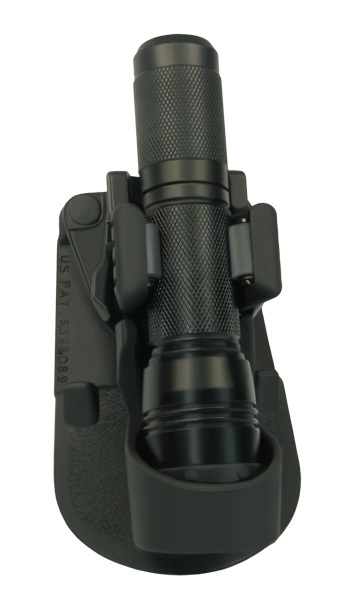 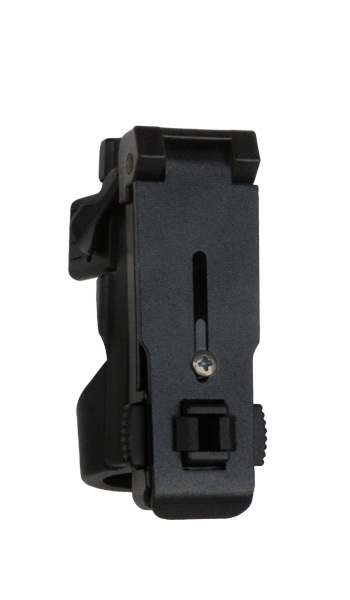 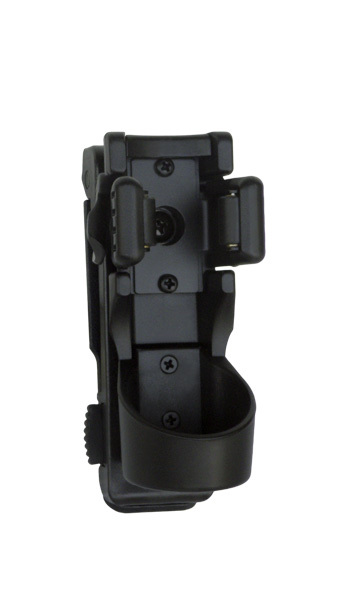 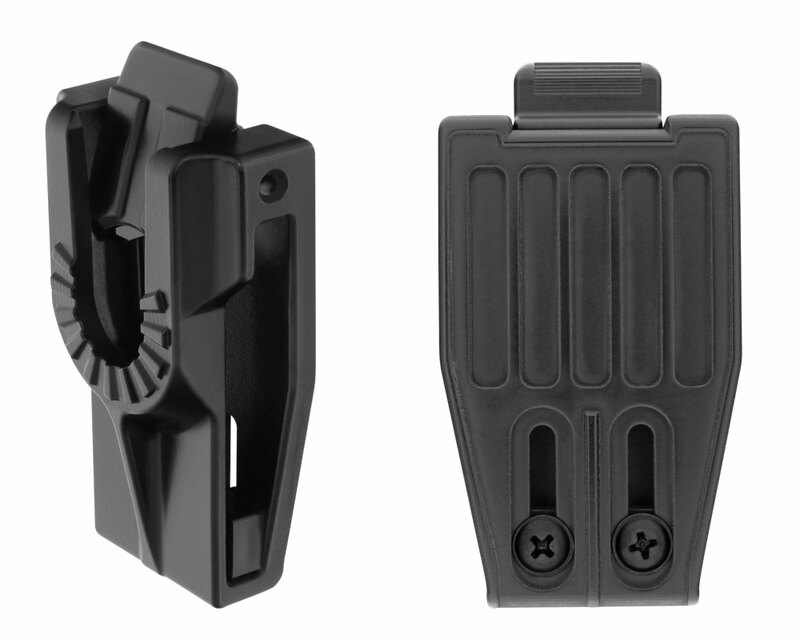 This holder is determined for the HELIOS 10-37 flashlights and for the flashlights with head diameter up to 37 mm. 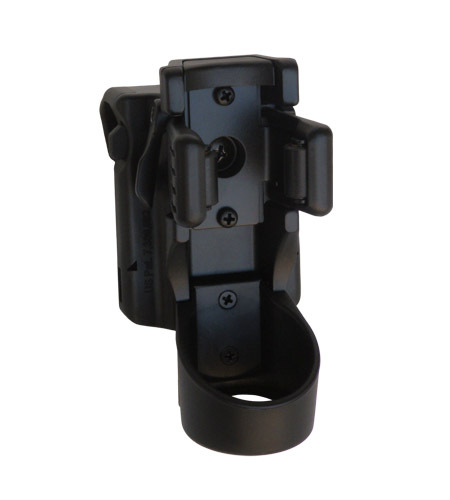 It also enables additional elongation of the holder by 18 mm. 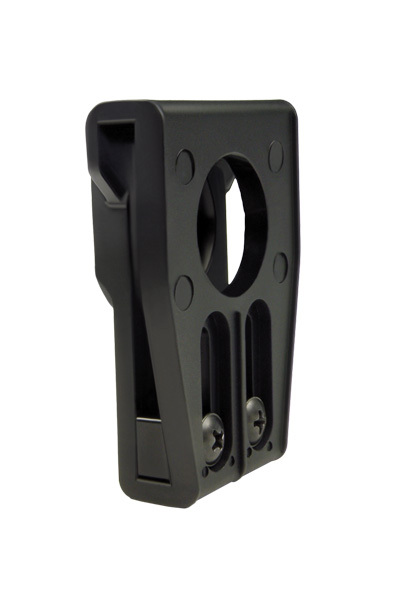 This type of holder uses model of flat quick-coupling clip UBC-02, which enables its rapid insertion on a belt with one hand only and without necessity of unbuckling the belt. 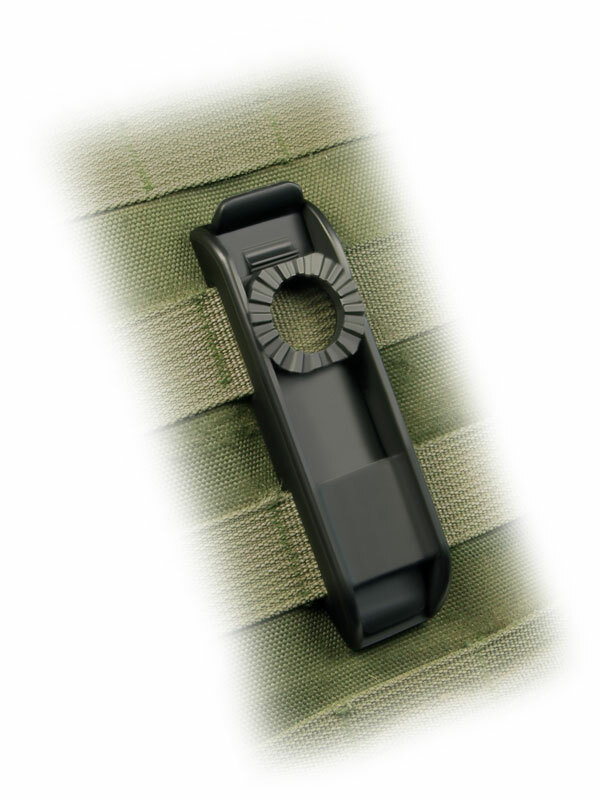 In comparison with fastening clip UBC-01, the distance between the belt and the flashlight is smaller with this type of clip. 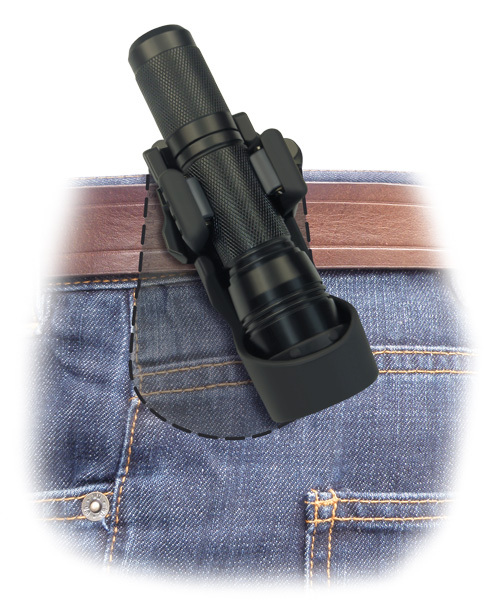 The flashlight can be rotated in respect to the belt by full circle of 360 degrees with 16 locking positions. 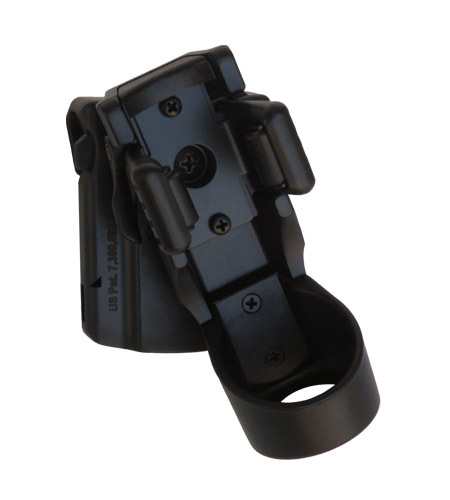 It can be fastened also to the supporting M.O.L.L.E. 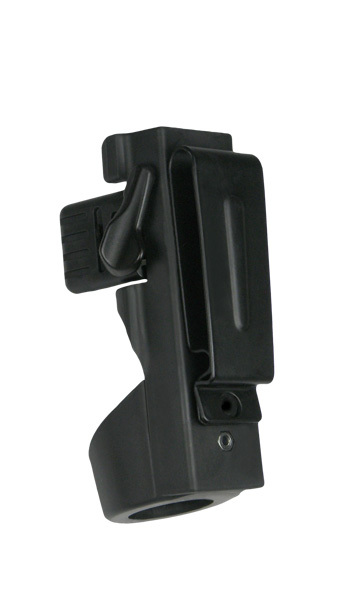 system.